So you thought you made the biggest decision of your life, to get married. Then you start making plans for the wedding and realize that was probably the easiest decisions. South Florida Transportation can help ease some of your load. We offer an expansive fleet for bachelorette and bachelor party bus rental. Alright ladies let’s talk about celebrating friendships, family and the bride-to-be by stepping out and lighting up the city. With a bachelorette party bus rental your night has endless possibilities. A bachelorette party it’s all about celebrating the end of one chapter and the beginning of another. The hunt has ended and new challenges await. Let South Florida Transportation provide you a bachelorette party bus rental and go out in style. 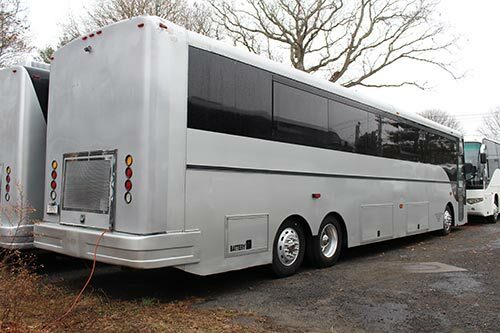 Hows about bachelor party bus rental ? Fellas do you want to go to the same old bachelor party you’ve been to a dozen times? Allow South Florida Transportation to set you up with a bachelor party bus rental. Get your soon to be groom a scavenger list. Have him get a match book from your favorite sports bar, ride an electric bull and have him get a condom from a stranger. You can be rated G or get rated R with your scavenger hunt either way it’s a guaranteed good time as you cruise the city in your party bus. Have him get an item from every hot spot in town. With a bachelor party bus rental you don’t go to the party you bring the party everywhere you go. No matter which soon to be newly wed you are planning for, a bachelorette and/or bachelor party bus rental is a great idea. It allows you the freedom of a progressive party. The ability to go to all your favorite spots and the newest clubs. You can transport up to 60 people responsible. All this plus the absolute blast you have while on-board. 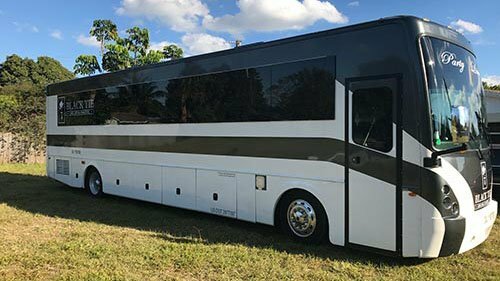 South Florida Transportation offers bachelorette and bachelor party bus rentals with the best sound systems, the bass can be felt across a city block. You can stock the bar with the bachelorette or bachelor’s favorite cocktails. Play a slideshow of your favorite pictures on the flat screens, mounted throughout your club on wheels. Ask South Florida Transportation about the optional dancing polls that will make the party fun, exciting, and a little silly (there great for photo ops). With all the decisions that come with getting married let South Florida Transportation make this a no brainer. Bachelorette and bachelor party bus rental is a guaranteed night to remember and an epic way to say goodbye to single life and hello to a life together.